I have newfound respect for Ashely Judd. Ladies, we are so much more than how we look — but how can we, let alone the men in our lives, ever come to believe it when we’re constantly picking apart how other women look, too? Ashely Judd writesthat she tries very hard to not let her own self worth be affected by others’ positive OR negative opinions of her. Which is wise, but extraordinarily difficult. Still, she decided to address this “puffy face” issue. By attacking her appearance, we attack each other’s appearance and uphold the idea that its only our appearance that counts. Who does this? I’ve got to ask: who benefits from this? Some would say that men do, because it gives them more power. I don’t think so. Who REALLY benefits from reducing half of our species to the role of mere ornamentation and the occasional procreation? For the record, I think procreation is a BIG DEAL and a vitally important, but it seems that even feminists look down on motherhood as being the most worthless role. That needs to stop, too. But as for lookism: who benefits from this? Not you. Not me. Not my kids. Certainly not my ex. Perhaps it’s the people who sell me makeup and clothing and hair gel and facial cream and shoes and jewelry and everything else they say I need to be good enough? Not to mention the mantles and wimples and crisping pins? I’m not buying it anymore. And I hope you won’t, either. I don’t mind makeup, but we are more than that. We have to start believing it. 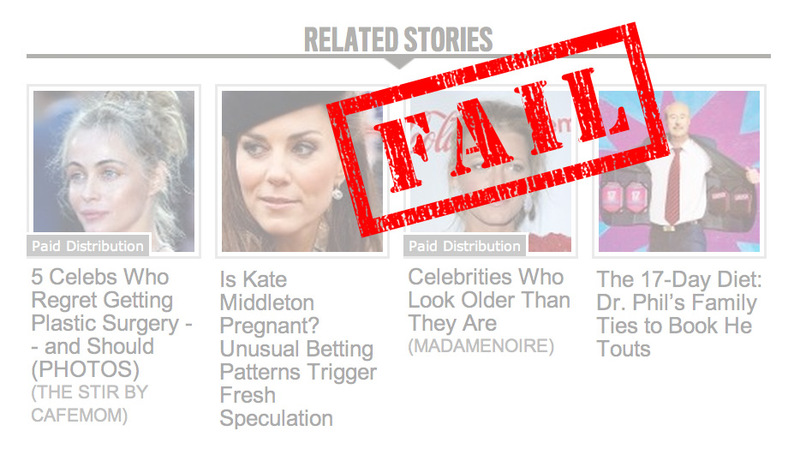 PS: I couldn’t help but notice the “Related Stories” section on The Beast. Sigh. What better way to end an article about hyperfocus on appearance and criticizing other women than with these stories? Oh yes. I just read the article from your link and this has to be discussed. The objectification /hypersexualization of little girls makes me sick. And you are so right, maternity is a big deal. Feminism is about choice, about being able to be the person you want, to explore it, to fulfill it whatever that is.